Get fast-acting relief for dry hair with this fresh-scent essential oil – a delicately sweet blend of dainty Yuzu and Honey scents. 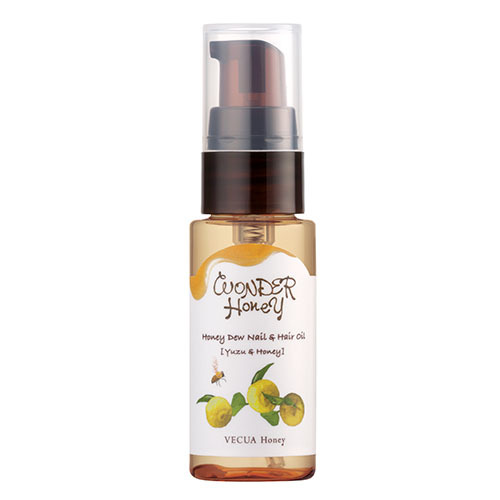 Wonder Honey Honey Dew Nail and Hair Oil (Yuzu Honey) targets areas particularly susceptible to dryness and damage. The non-sticky oil formula delivers moisture and leave hair soft and silky smooth. Perfect for those who struggle with hair split end, and those who suffer from nail and fingertip damage. The portable size is convenient to carry around. Made with a carefully selected blend of natural oils, vitamins and honey. The scent evokes the image of a freshly washed cotton wafting in on the breeze of a clear day, tinged with the subtly sweet accents of orange flower and jasmine. Be the first to review “Wonder Honey Honey Dew Nail and Hair Oil – Yuzu Honey” Click here to cancel reply.